Organization, communication, tax and social security aspects for performing musicians. The brief debate, open to all those present at the event and those who want to connect on Facebook, has the aim of briefly summarizing the "non-artistic" aspects of a musician's career. It will focus on "non-musical" topics, but just as indispensable for the success of a musician's activity: communication, promotion, organization, tax and social security. 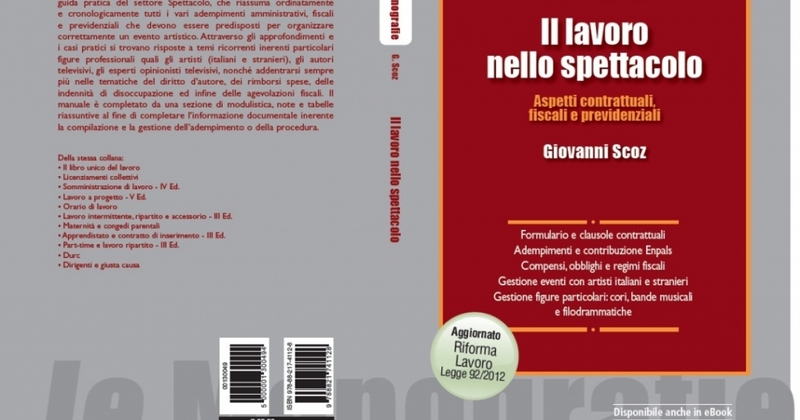 Giovanni Scoz, chartered accountant, journalist, contract professor of the "Law and Entertainment Legislation" discipline in various University Universities and Conservatories, specializes in the field of Performong Arts and Culture, author of several books and technical manuals. Valentina Lo Surdo is a radio and TV presenter for Rai, a concert presenter, communication trainer, musician and musicologist. She writes for some of the leading magazines, publishing houses, Italian newspapers. Dr. Lo Surdo holds written and oral communication courses for musicians at universities and private academies in Italy and abroad, and participates as narrator or actress in prestigious theater productions.